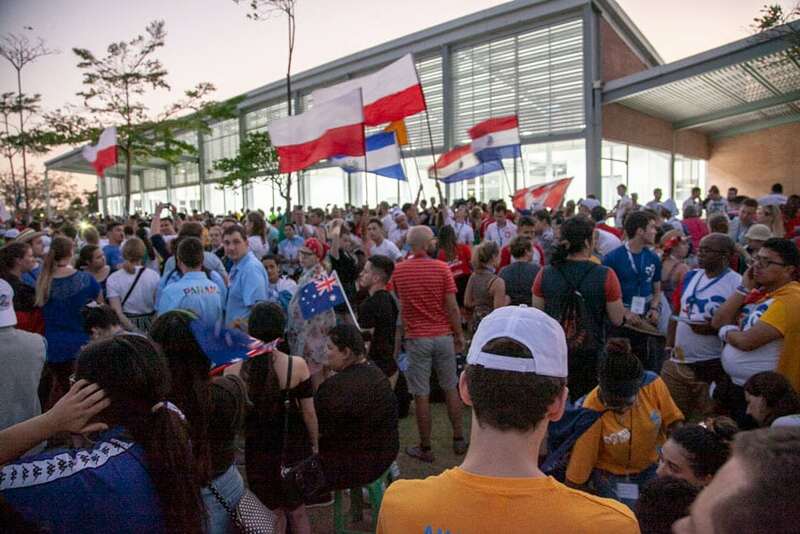 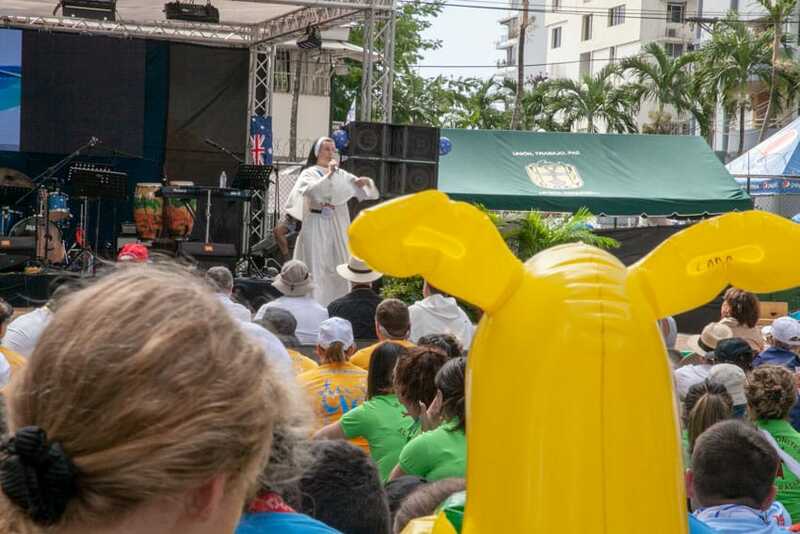 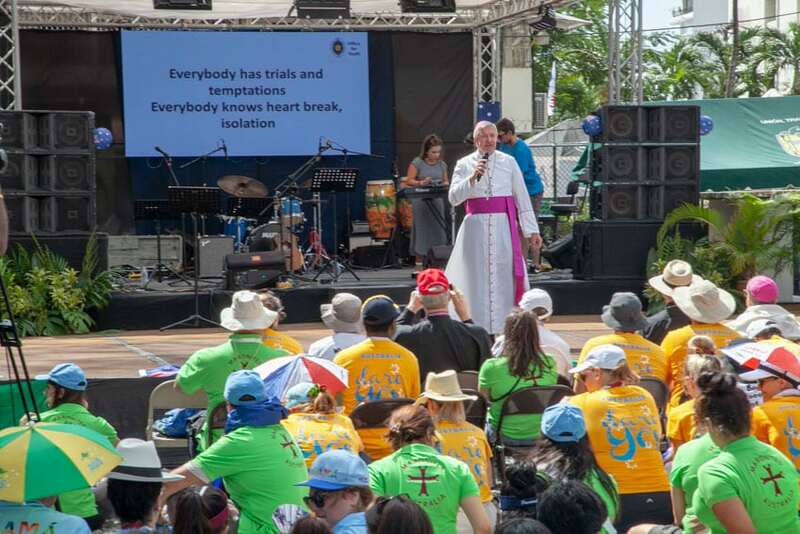 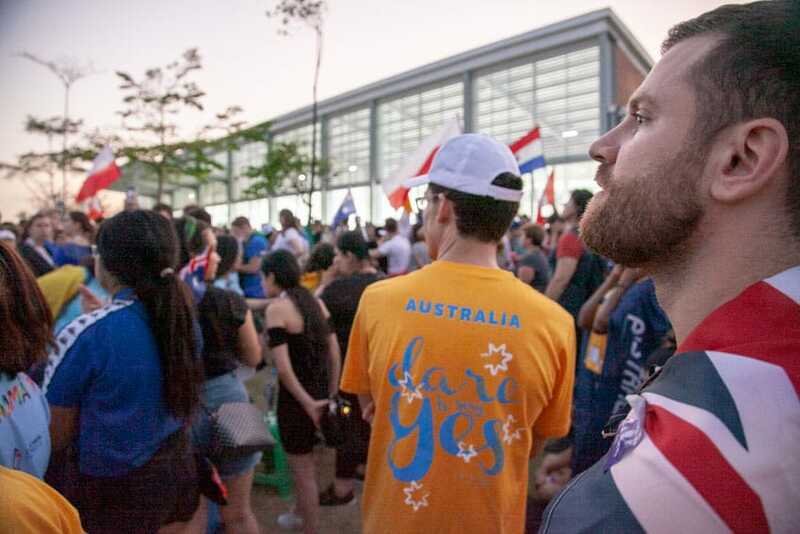 Pilgrims from all corners of Australia have come together for a special gathering on the opening day of World Youth Day in Panama City. Those walking to the gathering could hear shouts of “Aussie, Aussie, Aussie, oy, oy, oy” from blocks away. 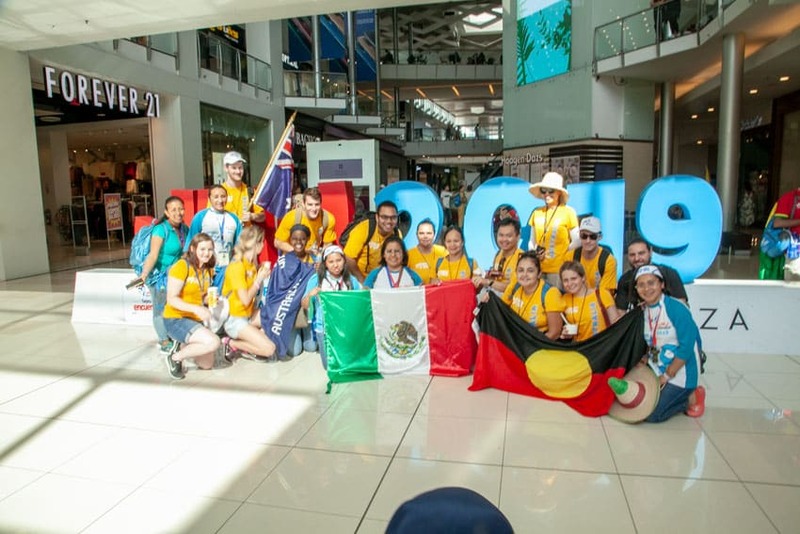 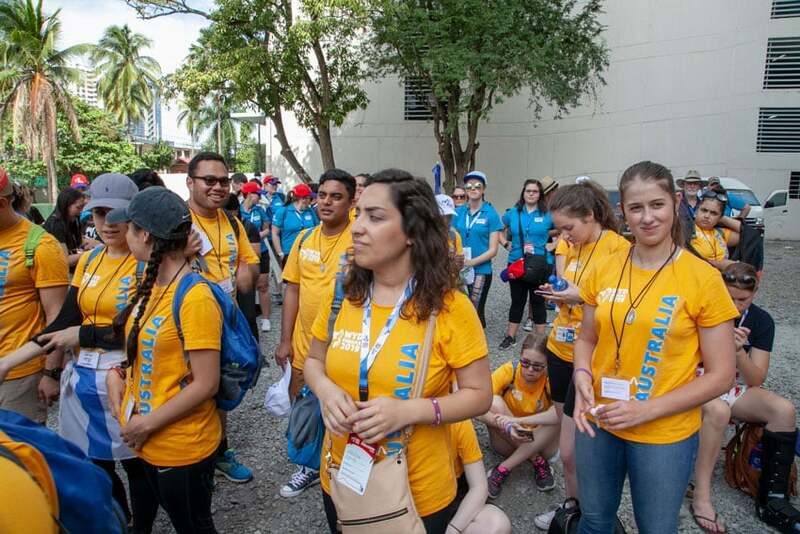 As they arrived, pilgrims from different dioceses and communities from around Australia embraced friends, and shared stories of their pre-WYD adventures in Mexico, Washington and Costa Rica. 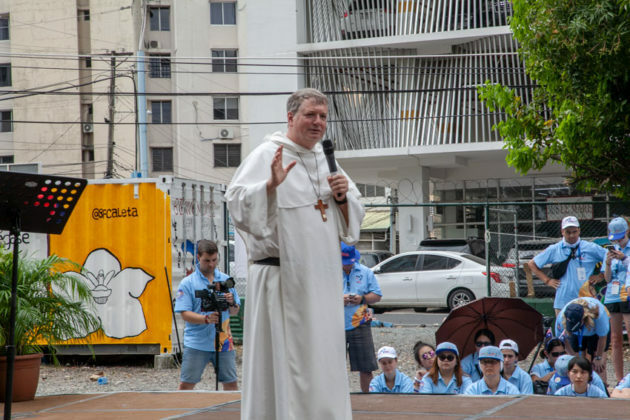 See related story: Touchdown Panama! 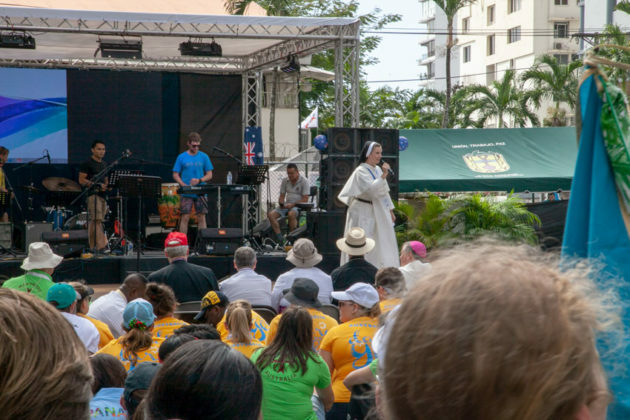 They were officially welcomed to the gathering by the Australian Honorary Consul to the Republic of Panama, Elizabeth Back. 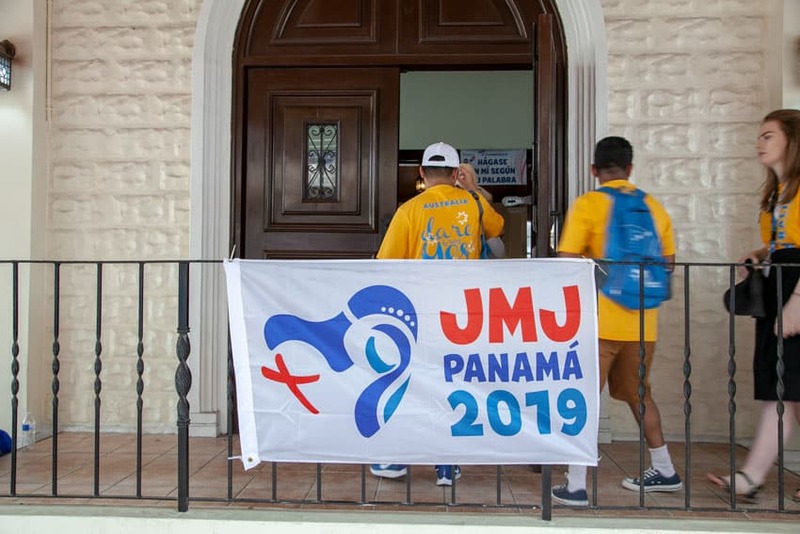 She told them that more than 150 countries would be represented at World Youth Day and that Panama – the population of which is about 80 per cent Catholic – was looking forward to having them there. Director of the Australian Catholic Bishops Conference’s Office for Youth, Malcolm Hart, reflected on how much focus there had been on youth in recent years in the Church in Australia and the Church universal: the Australian Catholic Youth Festival, the Year of Youth, the Synod on Youth, Faith and Vocational Discernment and the upcoming Plenary Council were all examples of this. “There is so much happening… so much wisdom and grace spilling into the Church,” he said. Dominican Sister Mary Helen OP encouraged the young pilgrims to trust God, because by saying ‘yes’ to God, they allowed Him the space to give more of Himself to them. 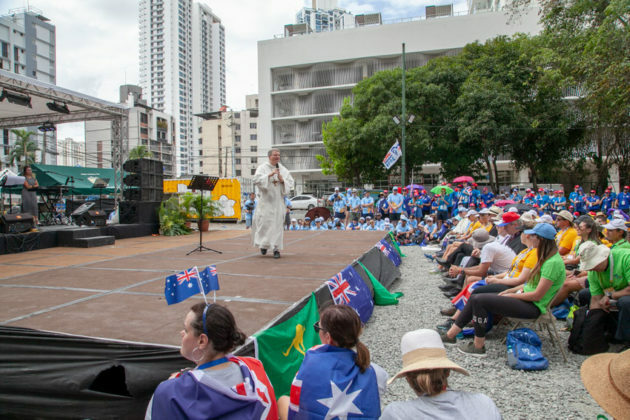 Father Rob Galea led the pilgrims in song with a rousing rendition of 10,000 Reasons, before Canberra-Goulburn Archbishop Christopher Prowse took to the stage to speak about the freedom of having a Marian faith; a faith that is manifested in a desire to be a ‘slave’ of the Lord. 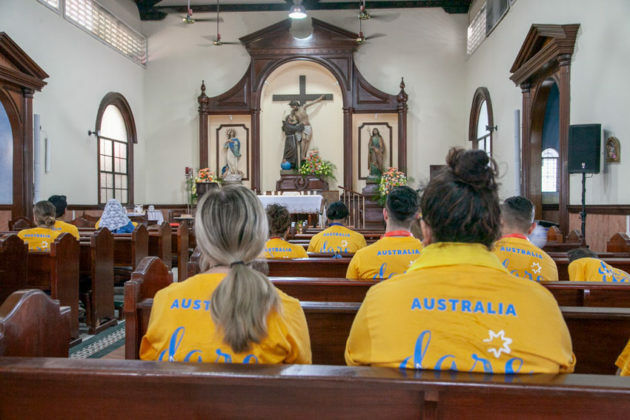 Archbishop Anthony Fisher OP asked pilgrims to imitate Mary as theotokos – God bearer – and ponder the place of Christ in their lives, growing closer to Him and His mother; and to imitate her as God-sharer, taking Christ out to others in evangelisation, works of compassion and justice. 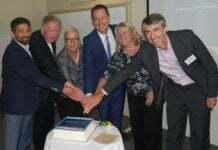 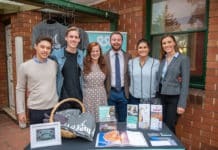 He also invited them to the Australian Catholic Youth Festival in December 2019, building on the success of World Youth Day. 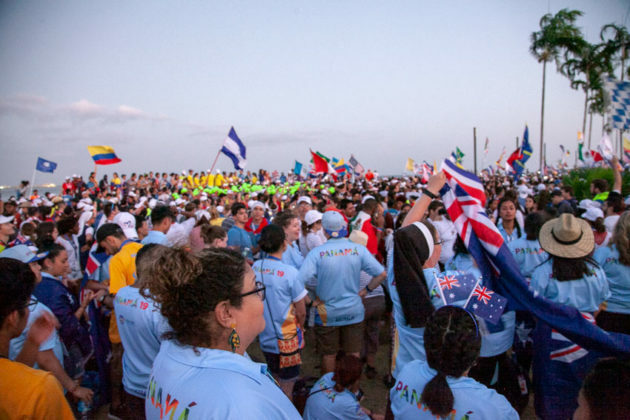 The Australian pilgrims also had their first chance to meet fellow young Catholics from across the world on the opening day. Language barriers were no issue as the youthful, joyful pilgrims spoke a common language of smiles and songs, dancing and waving, chants of ‘viva il Papa’ and, of course, selfies. 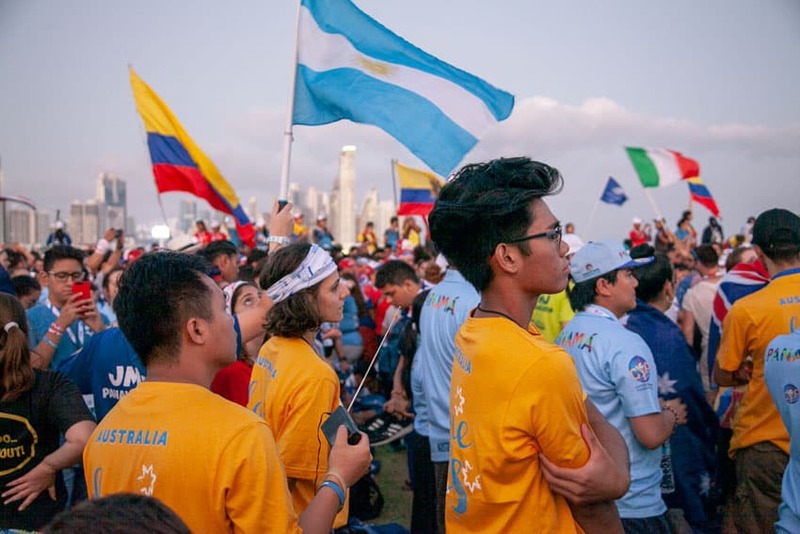 During the opening Mass on the beautiful beachfront strip at Cinta Costera, the pilgrims also spoke the language of silence, where the estimated crowd of 75,000 was completely still during the consecration. 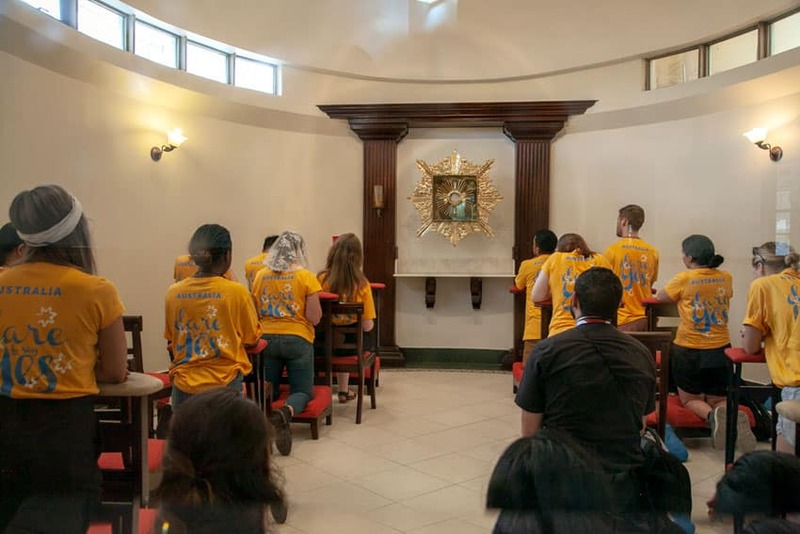 He invited the young people to follow the call of Christ, a call that is “real, lasting, intense, and full of a tenderness that only Christ knows how to communicate,” imitating Mary in giving her ‘yes’ to God. 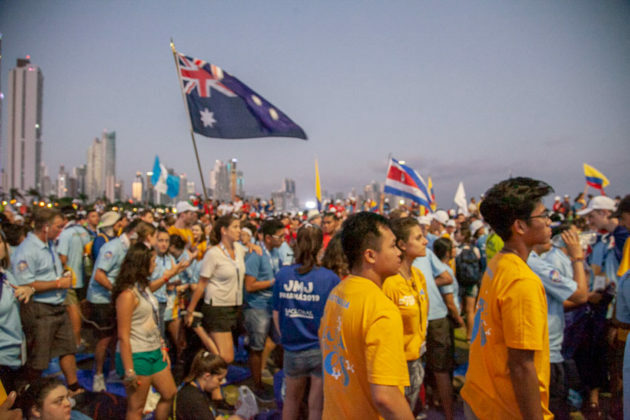 The pilgrims will begin their catechesis sessions tomorrow, followed by various Youth Festival events.